The war between Russia and Georgia expanded on Saturday, with fighting spilling outside the Caucasus province of Ossetia, both sides moving reinforcements into the region and Georgian President Mikheil Saakhashvili declaring martial law in the country, dpa reported. While the international community continued to exhort both sides to step back from the brink, the United Nations Security Council remained unable to forge a united response. The fiercest battles were in the South Ossetian city of Tskhinvali, where street fighting and artillery exchanges continued throughout the day and eyewitnesses reported city blocks reduced to rubble. Russian forces consisting of Spetsnaz special forces infantry, and paratrooper infantry flown in from the Russian interior had captured Tskhinvali by Saturday afternoon, Georgian officials said. 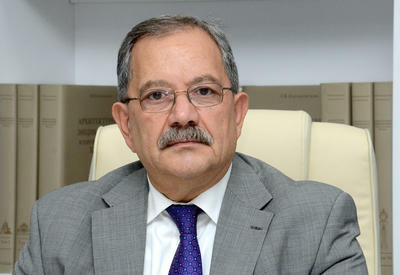 Aleksander Lomaia, Georgia's national security chief, in a telephone interview said Georgian forces had pulled back from the town "unilaterally." Lomaia estimated the Russian infantry assault force at 1,500 to 2,500 troopers. Counts of civilian casualties varied widely, with Georgia estimating between one and two dozen killed, and some 100 injured as of Friday evening. Eduard Kokoity, South Ossetia's leader, claimed more than 1,600 civilians had died and implied thousands more had been injured. Russian army losses, primarily to a peacekeeping unit stationed in South Ossetia when intense fighting broke out, were admitted at 12 soldiers killed and 22 seriously injured, the Kremlin said. Georgian military losses as of Saturday were reported at 50 dead and "in excess of 450" injured, the Interfax news agency reported citing an unnamed Georgian army officer. Russian airstrikes ranged widely across Georgia throughout the day, with dozens of sorties targeting oil pipelines, airfields, and military bases in the towns Vaziani, Gori, and Senaki, according to a Georgia government statement. Gori was hit a second time in as many days. Errant Russian bombs killed at least 20 Gori residents, Georgia's national television channel reported. Russian bombers also hit Georgia's only oil terminal in the Black Sea port Poti, destroying "almost everything" and leaving the installation in flames, the Interfax news agency reported. A strike of 12 jets hit the Kodori Gorge, a disputed region in Georgia's west, Lomaia said. Alekasandr Bagapsh, the leader of Abkhazia, a separatist province to Georgia's east, claimed responsibility for the attack, and said Abkhazian ground forces were attacking in the region. Bagapsh's announcement marked a dramatic widening of fighting in the region, as it opened a new front of combat to the west of South Ossetia. Georgia by Saturday had claimed it had shot down 10 Russian jets. Russian army spokesmen confirmed two Russian aircraft had been shot down, and said Russian forces had destroyed two Georgian aircraft. There was no independent confirmation of the Russian claim. Lomoia said Georgian forces had destroyed 30 Russian tanks or self-propelled guns since the war's outbreak. Russia thus far had not announced any ground equipment losses. 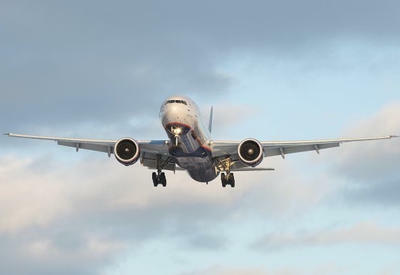 Russia and Georgia announced halts to civilian air traffic effective Saturday. Refugees were leaving Ossetia and heading north towards the Russian border throughout the night, at times under Georgian artillery fire. Russia was according to unconfirmed diplomatic reports taking a hard line on halting the fighting, threatening among others a blockade of Georgia's coast by the Russian Black Sea Fleet, and expanded air bombardment, if Georgia does not evacuate its forces from South Ossetia. Warships operated by Turkey, a NATO member, reportedly were standing offshore of the Georgian port Batumi. Saakashvili in a national television address accused Russia of expanding the conflict, and moving towards all-out war, by launching airstrikes against Georgian targets outside Ossetia. Georgia mobilized its reserves on Thursday, and declared martial law on Saturday. Georgia would bring home an elite 2,000-man Georgian infantry brigade currently stationed in Iraq, Saakashvili said. International efforts to bring a ceasefire appeared stymied, with the UN Security Council at loggerheads during an emergency meeting Friday, with the US and Russia taking effectively opposite views over the Ossetia conflict. It was the second failed Security Council session on Ossetia after a first attempt Thursday night. 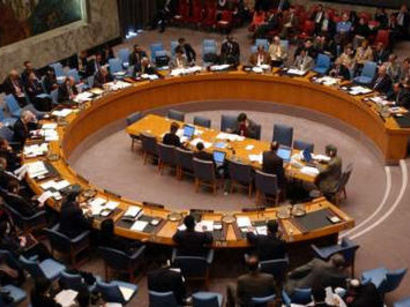 The Security Council reportedly was planning another emergency meeting on Saturday. Speaking in Beijing Saturday, US President George W Bush expressed deep "concern" over the situation. "The attacks are occurring in regions of Georgia far from the zone of conflict in South Ossetia. They mark a dangerous escalation in the crisis," Bush said. Bush called on the two sides to resolve the regional issue peacefully, adding that Georgia was a sovereign nation whose territorial integrity needed to be respected. He specifically called on Russia to stop bombings and for a "return by the parties to the status quo of August 6." US Secretary of State Condoleezza Rice had also been in contact with a number of foreign officials to seek an end to the hostilities. German Foreign Minister Frank-Walter Steinmeier expressed concern that the conflict in South Ossetia could spread, in comments to a German newspaper published Saturday. "We face the danger of a dangerous conflagration," Steinmeier told the Sunday edition of the mass circulation Bild newspaper. "Given this alarming prospect, all parties must live up to their responsibilities. The weapons must fall silent," he said. China also expressed "serious concern" about the worsening conflict. Chinese President Hu Jintao met Russian Prime Minister Vladimir Putin on Saturday but state media gave no details of their talks, saying only that Hu also hosted a banquet for Putin. Hu, Putin and Bush were among some 80 heads of state who watched Friday's opening of the 2008 Olympics in Beijing. Meanwhile the presidents of Poland, Lithuania, Latvia and Estonia condemned in a joint statement the actions of Russian forces fighting in South Ossetia. South Ossetia and Abkhazia are part of the republic of Georgia and "nothing can change this," Polish President Lech Kaczynski told journalists in Warsaw. Poland has been lobbying for Georgia's entry into NATO and the EU.